It's 1188, and the infidels have conquered Jerusalem. Forced into exile, Pagan escapes to France with his Templar lord, the noble Roland. But Lord Roland's homecoming is less than joyful - his violent family clash both with their neighbours and with each other. At the centre of this bloody feud stands the highly principled Esclaramonde, a woman whose enigmatic character and heretical religious beliefs both disturb and attract Roland. And Pagan, too, has some unpalatable truths to confront. Book Two in the Pagan Chronicles, Pagan in Exile is brimming with action, intrigue, and the down-and-dirty details of medieval life. 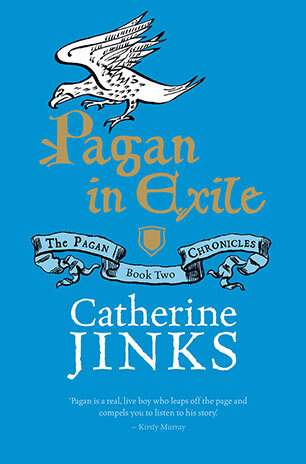 CATHERINE JINKS is a scholar of medieval history and a prolific author for teenagers, children and adults. Her books have been published to wide acclaim in Australia and overseas and have won numerous awards. She loves reading, history, films, TV and gossip, and says she could write for eight hours straight every day if she had the chance. Catherine lives in the Blue Mountains of NSW with her husband and daughter.